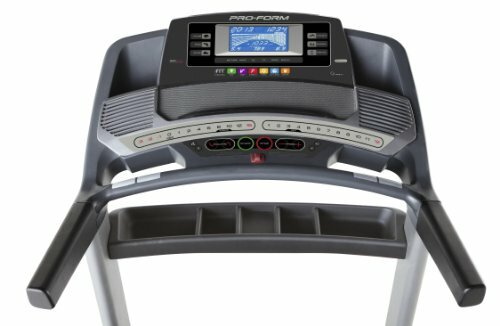 ProForm has an exceedingly good reputation and is widely acknowledged as one of the most durable, stable, and trustworthy manufacturers in the world of fitness equipment. 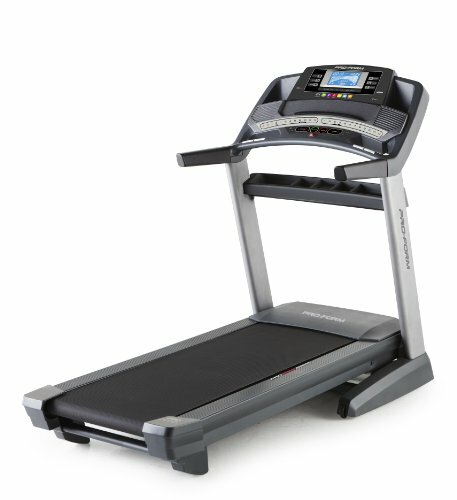 Their Pro series is one of the most desired and top of the line series of treadmills currently in the market. However, since the Pro series is filled with an assortment of applications and features, their price tags can tend to lean a little over to the expensive side. But, worry not, because the ProForm Pro 2000 treadmill brings to the fore almost all the good things about the Pro series while being charged at an affordable rate. With the 2000 model, the manufacturers have brought in an entry level treadmill that is guaranteed to be your ideal fitness partner for the long haul. The 2017 model of the Pro 2000 has 32 preset workout programs, connectivity to the iFitness app as well as Google Maps, also featured are good speakers for your MP3. Another grand feature with the Pro 2000 is its superb incline function that features both uphill and downhill slopes which will burn double the calories when you work out. Are you curious to know more? Read our review and find out why the ProForm Pro 2000 deserves your consideration. When completely assembled, the ProForm Pro 2000 measures at dimensions of 80 x 40 x 63 inches of length, width, and height respectively. Its running track is wide and spacious, coming at measurements of 60” x 20” which is ideal for exercisers of different heights. The rear belt roller is 2.5” in diameter which makes it bigger than what most other treadmills offer in the same price range. The extra thick rollers also reduce wear and tear to the belt. Because of its Space Saver technology, the ProForm Pro 2000 can also be folded and can be transported via wheels fixed at its base. This ensures that the treadmill will not occupy extra space in your room and can be assembled and de-assembled at your will. EasyLift Assist uses hydraulic springs to open and close the treadmill effortlessly. Coming to the more fancy part, let us take a look at the monumental number of features that the ProForm Pro 2000 offers since it is in this department that the treadmill shines the most. A 7” inch LCD backlit display allows you to keep track of all your workout readings such as total speed, distance covered, elapsed time, number of calories burned, heart rate, and incline settings. However, if you want your workout to be more immersive then you can hook your personal tablet computer to the treadmill (on a secure display shelf made specifically for it) and use the iFit app to download customized workouts and other health tips (membership of the iFit app is sold separately). The 2017 model of the ProForm Pro 2000 has 32 built-in workout programs with varying speeds and incline settings to spice up your workout. But buying a subscription for the iFit Coach app will add a whole new dimension to your exercising since it will give you a lot of new customized workouts for you to challenge your body with. iFit members can also use a library of high-definition workout videos, create an infinite number of interactive Google Maps workouts which uses Street View and actually adjusts the settings of the treadmill in order to match that of the virtual terrain. Other benefits include personalized diet advice and wireless logging of your daily steps. Using QuickSpeed buttons, you can directly choose between different speeds and inclines. The total speed of the Pro 2000 goes up to 12 mph, which would mean each mile takes up until 5 minutes. The incline, most importantly, ranges between -3% to 15%. This is a wonderful feature as this means that not only do you have the capacity to train on a flat surface but you can also choose to incline the surface to mimic an uphill slope as well as a downhill slope. And if you set the speed high, you can actually burn two times the calories you would normally burn on some low-ended treadmill. Other exciting features include EKG pulse heart rate monitors on the handrails with a Bluetooth compatible chest strap, as well as 3” digitally amplified long-throw speakers that are compatible with an MP3 device and whose volume can also be adjusted digitally. ProForm have made sure that your exercising does not go without its necessary dose of entertainment. The ProForm Pro 2000 is solid steel construction and weighs 291 pounds. It has a maximum weight capacity of 300 pounds. 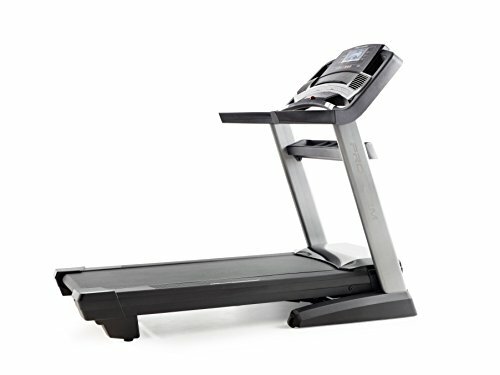 It uses an impressive 3.5 CHP Mach Z motor that has a lifetime warranty and offers more than what other treadmills in the similar price range do. The motor will let the track move seamlessly with your strides without making any noise. The deck itself is comprised of ProShox cushioning technology that will absorb the force of your strides and ensure that your muscles and joints recover faster after your workout is complete. If you’ve read the entire review up until this point, you already know that the ProForm Pro 2000 is more than worth your buck. This treadmill will not only be the ideal partner for your fitness needs but its seemingly endless array of features will almost always keep you entertained and immersed because there are so many possible things you can do with this machine. If you want a high level treadmill for money that won’t burn a hole in your pocket, the ProForm Pro 2000 is one of the best recommendations we can give to you. 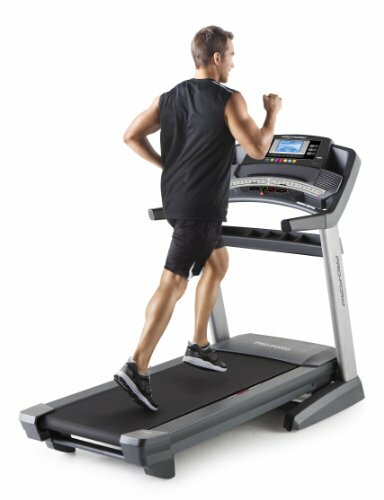 In a nutshell, this treadmill comes close to checking all the requirements that should be expected out of a top-notch treadmill making it a nearly perfect machine.